One of these models is the iRobot Roomba 980 Robot Vacuum Cleaner, which has up to 10x more powerful suction than previous series Roombas, & has up to 120 mins runtime. In this iRobot Roomba 980 Robot Vacuum Cleaner Review, we look at the main features and potential drawbacks to this robotic vacuum so you can get a good idea or not whether it’s worth your money. 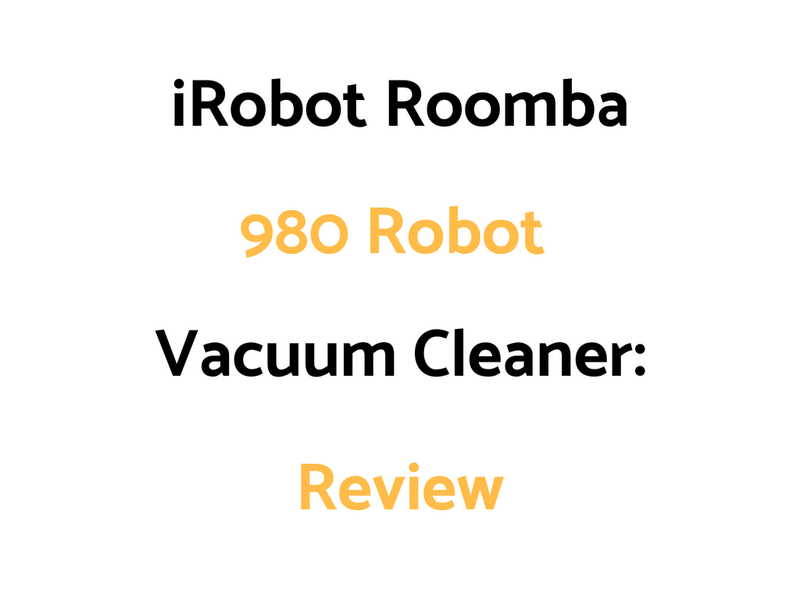 Overall, if you have realistic expectations of what a robotic vacuum cleaner is – which is a lighter duty vacuum with a lower dirt container capacity – the Roomba 980 performs well. Like all robotic vacs, it isn’t cheap, but does provide good value for money if you want an automatic robotic vac that can also be scheduled. You get more power specifically in the 980 compared to the 600 and 700 series Roombas – up to 10x more suction. If you want a heavy duty vac for heavier dirt and higher volumes of thick hair – it’s not for you. Having said that – of all the robot vacs on the market, this is one of the only ones with extra power for deep carpets and plush surfaces. Read the return policy and warranty conditions before you buy to protect your money investment. Who Might The iRobot Roomba 980 Robot Vacuum Cleaner Be For? Who Might The iRobot Roomba 980 Robot Vacuum Cleaner NOT Be For?